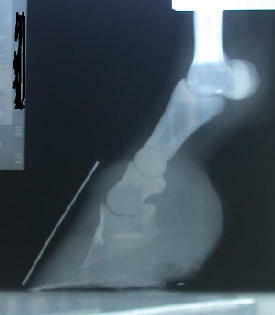 The following xrays depict radiographically the laminar wedge as well as the rotation characteristic of founder. 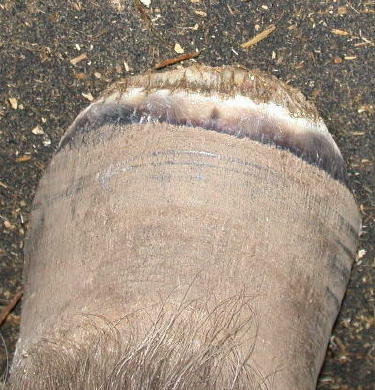 They correspond to the photographs of the laminar wedge in the previous post. 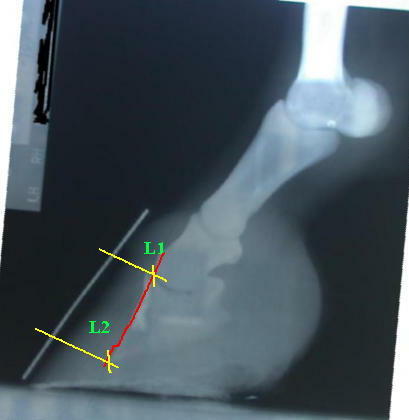 The horse was diagnosed with rotation of 12 degrees. 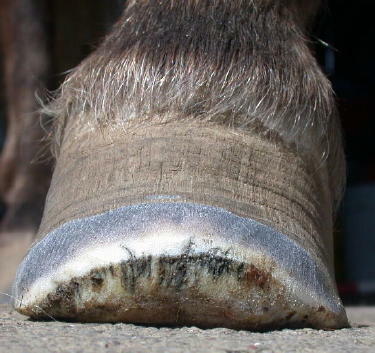 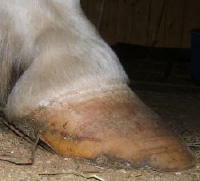 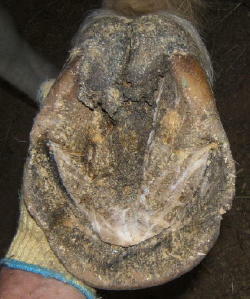 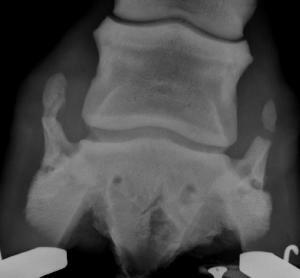 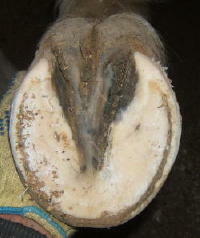 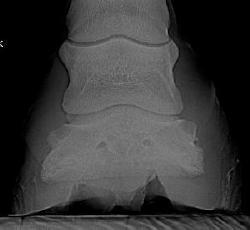 The space between the laminae at the top of the hoof (L1) is smaller than the space at the bottom (L2). 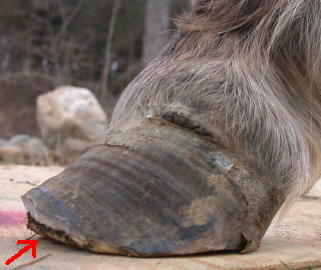 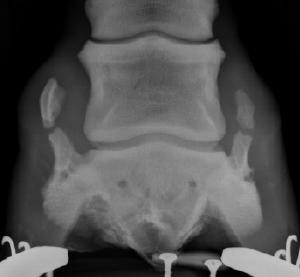 These two measurements should be the same, or stated another way the wall of the Coffin Bone (red line) should be parallel to the hoof wall (metal marker seen in gray). 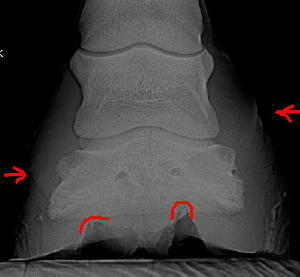 When the space at the bottom is greater this indicates the laminae have given way and the bone has begun to rotate, or founder. 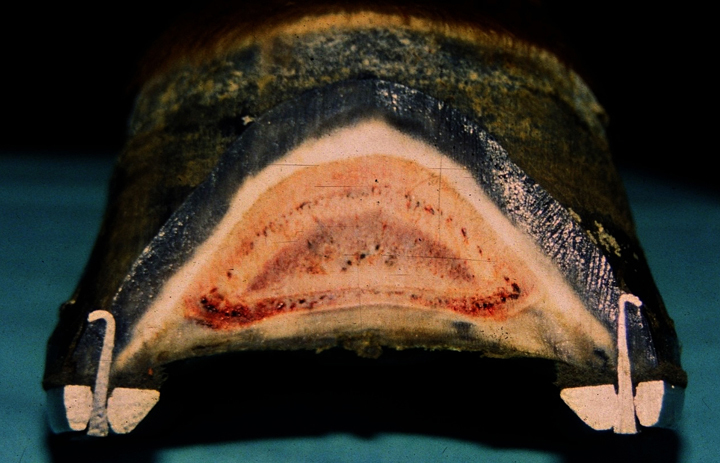 The wide space at the bottom, L2, is now full of torn and dead laminae, inflammation and blood, and this is what becomes the laminar wedge.